One of the more important conversations that emerged from June’s Rio+20 Summit was around valuing natural resources and, ultimately, moving our economies beyond GDP as a sole measure of growth. The concept is not a new one but it did seem gain traction. Included among the side events on one day alone were at least two standing-room-only sessions on the topic: “Measuring the Future We Want” and the Natural Capital Summit. In Measuring the Future, the panel recognized that over the last 20 years we have seen poverty decline but at the cost of growing environmental challenges. The call was for governments to institute a framework for natural capital accounting. The Natural Capital Summit, meanwhile, featured speeches from Britain’s Nick Clegg and Norwegian Prime Minister, Jens Stoltenberg, as well as remarks from the presidents of Gabon and Costa Rica, illustrating clearly the level of interest in the topic. “How to value nature is one of the most important political decisions,” Stoltenberg said, shortly after Clegg had talked over a masked heckler, accusing world leaders and the World Bank of commoditizing nature. Despite the mask and the point well taken about assigning value to nature, the reality is not so simple. As we have it now, few benefit from our forests, oceans, our extractive industries and water. The costs of pollution are borne by us all rather than the polluter. This creates a world where we are rapidly depleting our natural resources for the enrichment of a few, and economic growth, as measured by GDP, is vastly inflated. 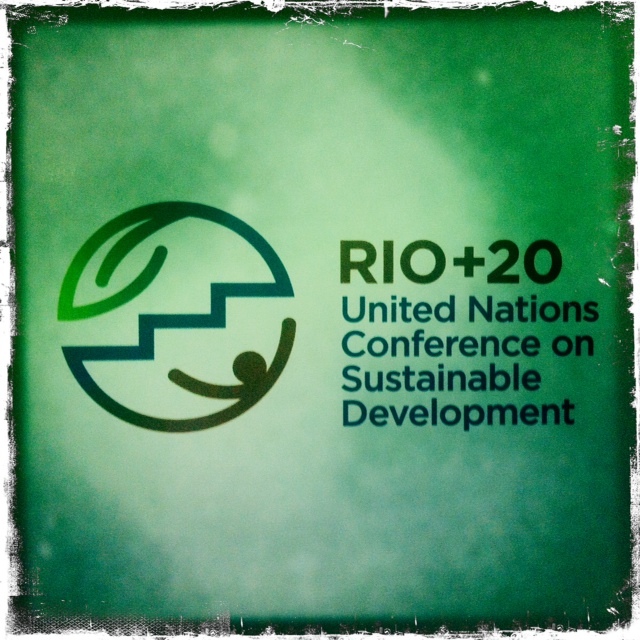 Both Rio+20 side sessions were short on answers or plans of action, despite some participants stating the desire to help international gatherings move beyond declarations – something that is sorely needed. As a path toward action, however, also at Rio, the United Nations Environmental Program (UNEP) and the UN Environmental Program, the International Human Dimensions Programme on Global Climate Change (IHDP) introduced the Inclusive Wealth Index. The idea is to consider a country’s assets to get a better picture of a country’s wealth and the sustainability of its growth. In reporting every two years, IHDP will calculate the IWI for 20 countries that together account for almost three-quarters of global GDP. Unsurprisingly, the first report showed that despite strong GDP growth, the United States, China, Brazil and South Africa had significantly depleted their natural capital base. This was calculated as the total of renewable and non-renewable resources such as fisheries, forests and fossil fuels. Again, not surprisingly, China showed the most dramatic difference between GDP and IWI. GDP growth alone was measured at 422 percent between 1990 and 2007 but IWI measured over the time was just 45 percent. The report also showed that future growth, as measured by IWI, was dependent on the sustainable use of resources since all countries surveyed had a higher share of natural than manufactured capital. The key factor here is that countries are using their natural resources faster than they can be replenished, thus challenging future economic development. The strong sense in Rio was that governments need to step in to create a policy framework by which natural capital can be valued in order for real change to happen. The private sector, of course, wants a level playing field. Meanwhile, some leading companies that are among the biggest beneficiaries of natural resources and free pollution, also stepped into the discussion this week in Rio. Twenty-four of them, including Cocoa-Cola, Xerox, Dow Chemical and Kimberly-Clark announced a four-step framework for a methodology that would value natural resources. Two-thirds of our planet’s land and water ecosystems are now significantly degraded thanks to human activity and climate change is only accelerating the damage. The UN estimates that mismanagement of natural assets costs the global economy an estimated $6.6 trillion a year or 11 percent of GDP collectively. According to the report, these costs are expected to reach $28 trillion by 2050 and threaten core business interests through potential supply chain disruptions or costly substitutions, regulatory or legal risks. KPMG has estimated that if companies had to pay for their own environmental bills they would lose 41 cents for every $1 in earnings. Among the natural goods and services on which the global economy was seen to depend are: Clean water and air; affordable raw materials and commodities; fertile soils; fisheries; buffers to floods, droughts, fires and extreme weather; barriers to the spread of disease; biological information to propel scientific and medical breakthroughs. Still, the report although strong on the challenges is short on how natural resources will actually be valued. Puma has been a leader in this field. Last year the company introduced an environmental profit and loss screening that represented an interesting step toward assigning economic value to resources consumed, to emissions and toward determining the true cost of production for the apparel and shoe brand. I have written about this here. Finally, also this week the leaders of 37 banks, investment funds and insurance companies agreed to take better stock of the stress put on ecosystems by the economic activity they manage, and work towards integrating natural capital into products and services. The Natural Capital Declaration is once again short on detail, but at least represents an acknowledgement of the issue.